As much as I love summer blockbusters, it’s always sort of a relief to slide into the fall and remember that there are smaller, independent films that tell really amazing personal stories, with nary an alien in sight. This week I got the chance to see Sleepwalk with Me, written, directed by, and starring comedian Mike Birbiglia, and based on his best-selling book of the same name. The movie is an autobiographical account of Birbiglia as an aspiring stand-up, unsure about his future with his girlfriend, and desperate to kickstart his career. All of his stress and anxiety are compounded by a sleep disorder that leaves him sleepwalking into increasingly bizarre and potentially dangerous situations. comedians like Marc Maron, Wyatt Cenac, Kristen Schaal, Jessi Klein, and David Wain. I don’t want to give the impression that Sleepwalk with Me is a comedy. It’s not. It IS funny, and I found myself laughing out loud a lot during the movie. And it’s not a romance, even though much of the movie deals with Birbiglia and his relationship with his girlfriend, played by Ambrose. The film is funny, it is sweet, it is sad, it is uplifting, and most of all, it is honest. And it’s definitely worth your money. Go to http://www.sleepwalkmovie.com/ to learn more about the movie, and bug your local theater to show it. It’s like Animal Crossing, but occasionally, I have to kill a dragon. That’s how I ended up describing Hearthfire, the latest expansion for Bethesda Games’ Elder Scrolls V: Skyrim, to my wife. Available on the Xbox 360, Hearthfire expands the world of Skyrim by allowing you to buy land, and then build your dream house, complete with blacksmith forges, alchemy labs, libraries, enchanter’s towers, and all the weapons racks and display cases an OCD-stricken adventurer could ever need. I’m more than a little bit obsessed with Skyrim. I received the game for Christmas, and it literally has not left my Xbox since then. I jumped into the previous expansion, Dawnguard, with both feet, enjoying the opportunity to expand and continue the story (plus, I liked shooting vampires with crossbows). Hearthfire doesn’t really do much in the way of story expansion. It feels more like what your Skyrim hero does when he realizes there are no more caverns to explore or ruins to loot – he retires, builds a nice house, and raises some kids. The house-building starts off fun and then becomes gradually tedious. You literally have to build every stick of furniture in the house, which requires you to run all over Skyrim looking for the proper materials. After slaying the great dragon Alduin, defeating the vampire lord Harkon, and travelling to the warrior’s heaven of Sovngarde, it feels kind of anti-climactic to be desperately going to merchant’s shop after merchant’s shop in search of goat horns and straw. 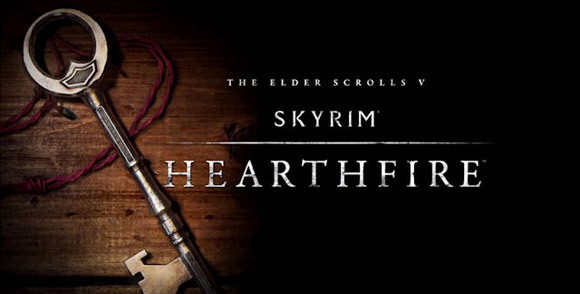 If you’re a Skyrim obsessive like me, then Hearthfire will at least extend your enjoyment of the game by another few hours. If you’re a casual player, you’re not going to find much here that would bring you back to the game.